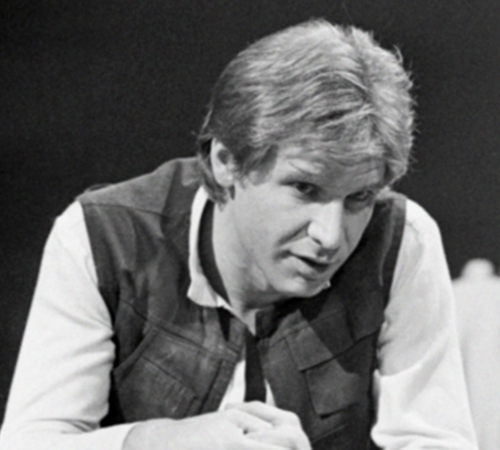 Han Solo is a smuggler/scoundrel-turned Rebel hero after rescuing Princess Leia from the Death Star and helping Luke Skywalker destroy the gigantic space station. He continues to travel the galaxy with his lifelong companion and co-pilot Chewbacca, whose family he visits every Life Day. 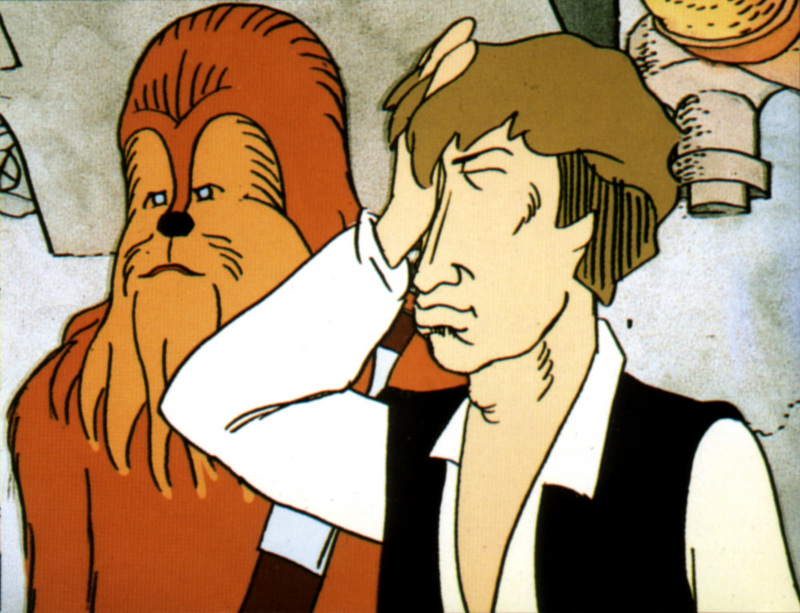 He and Chewie located a much-sought-after talisman for the Rebels, but Han contracted a deadly sleeping virus from it as a result of the Empire’s handiwork. 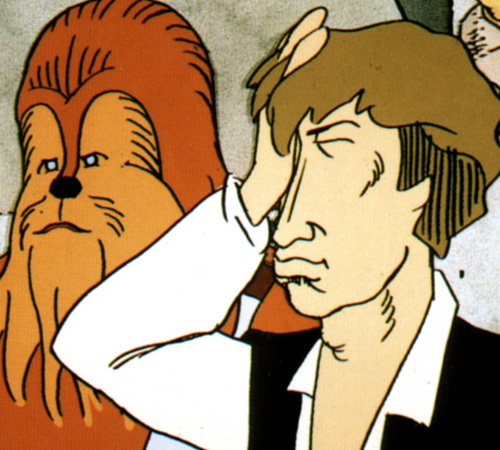 Only Chewbacca’s quick treatment and eventual location of the antidote saved his life. 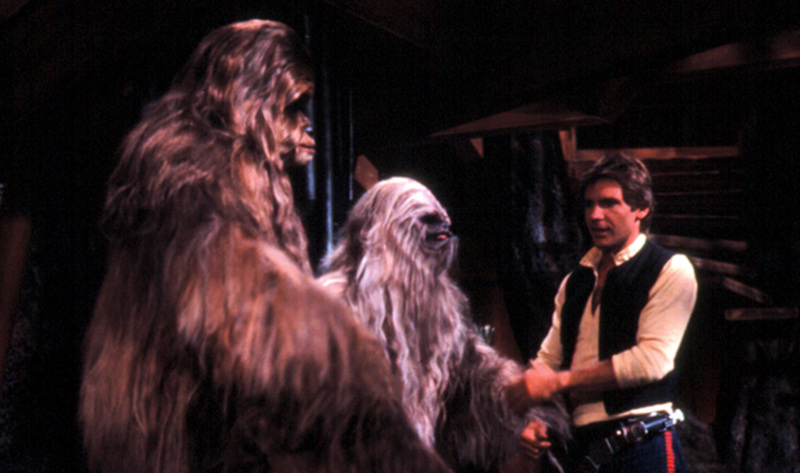 In the fourth draft script, Han Solo does not make an appearance at the end of The Star Wars Holiday Special to help Chewbacca save his family from the Empire. 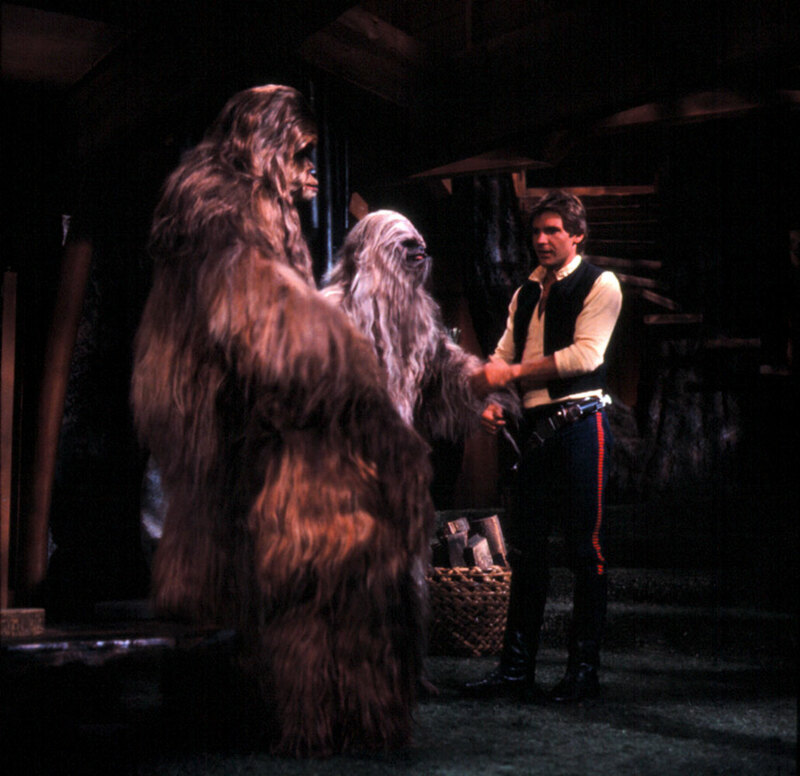 Instead, he drops Chewbacca off and it is up to Chewie to defeat the stormtrooper standing guard. 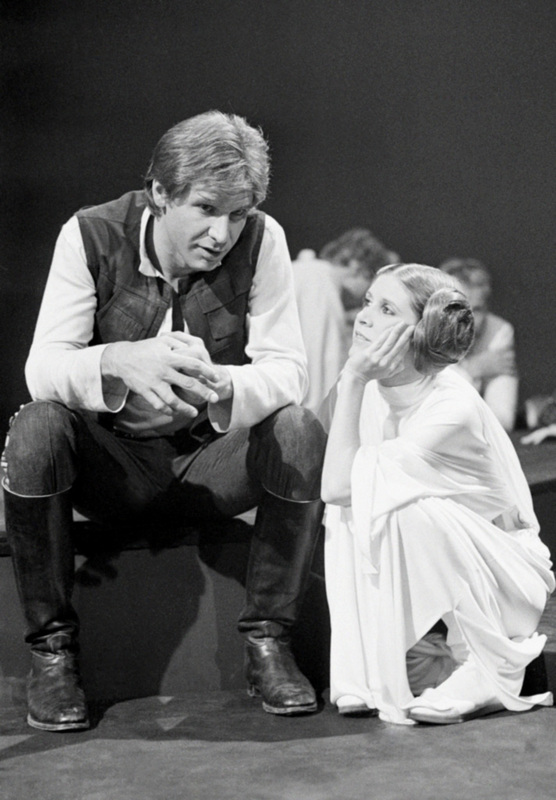 The filming was changed at the last minute to include Han in the scene.